Need a quick getaway? Here are some of our favorites. Even better? They’re all within a four-hour drive. Columbus, Ohio: Like Pittsburgh, Columbus is situated on a river. And it’s home to one of the best zoos around—the Columbus Zoo. There’s also the beautiful Franklin Park Conservancy and Botanical Gardens, minor league baseball at Huntington Park, the German Village, and Ohio State University. 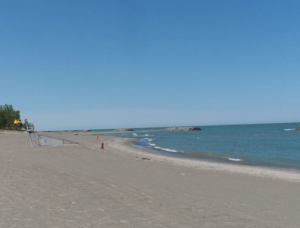 Erie, PA: One of our favorite places to visit in summertime is Presque Isle State Park. Not only are the beaches great, but there are events in the park almost every weekend. Right beside Presque Isle is Waldameer Park, a real hidden gem of an amusement park that also includes a waterpark. Cleveland, Ohio: Love Rock and Roll? Then you’ll love the Rock and Roll Hall of Fame. Cleveland also has an eclectic restaurant scene and is located right alongside Lake Erie–a great view! Don’t forget to take in a Cleveland Indians game in the summertime. Geneva, Ohio: This area, very close to Cleveland, is emerging as a wine lover’s destination. Hotels offer wine shuttles that take you from winery to winery (and some breweries) and most wineries have restaurants and beautiful grounds for picnicking. The Lodge at Geneva on the Lake even features a treetops obstacle course that’s family-friendly. Nemacolin Woodlands, PA: Looking for luxury? This is your spot. Nemacolin offers fine dining, golf, a beautiful pool, and spa services. This destination is the perfect getaway for a couples’ weekend or even a girls’ weekend away.